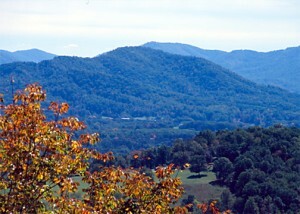 Charlottesville is bordered by the scenic Sky Line Drive and the Shenandoah National Forest, and lies in the heart of horse country. Recreational opportunities abound for persons who enjoy soccer, running, mountain biking, golf, tennis, camping, hiking, fishing, skiing and horseback riding.. The city also offers a host of cultural and social opportunities which include University and local performing arts groups, The Virginia Film Festival (http://www.virginiafilmfestival.org/) , renowned lecturers, wine tasting at local area vineyards, and antiquing. The area is rich with historic sites. Thomas Jefferson founded the University of Virginia in 1819. Mr. Jefferson took great pride in designing the buildings, supervising the construction and planning the curriculum of the University. His famous home, Monticello, sits on a nearby mountain with a view of the beautiful University grounds. Ashlawn-Highland, the home of James Monroe, located near Monticello, features beautiful gardens and furnishings. Within a one to two-hour drive, many other early American historic sites can be seen. Today, the University of Virginia is ranked the number one state supported university, with nationally recognized programs in the Arts and Sciences, Medicine, Law and Business. Atlantic Coast Conference sports are among the best in the nation. Central Virginia is an area filled with history, and a wealth of recreational and cultural opportunities. Come visit historic Charlottesville and the University of Virginia and enjoy this wealth of educational and cultural resources and outstanding natural beauty.